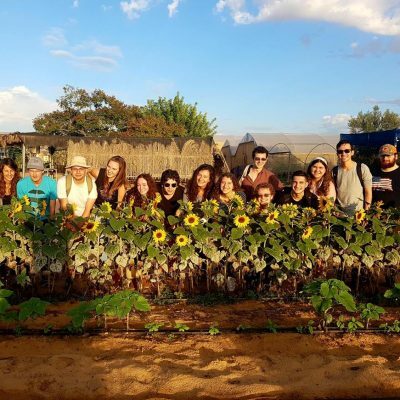 A gap year in Israel that jump-start you future career! Acquire new expertise, develop your networking skills and have a unique experience in Israel. Become a developer. You’ll get the coding skills that are required in creating web and mobile apps. Impress friends, family, and future employers by creating your very own mobile application! Become a user interface professional. Get the skills for designing creative apps and websites. Apply your slick style on an industry-standard WordPress site. Courses are led by INT College for innovation and technology. INT have been the leading institute in Israel in tech education since 2001 and has thousands of alumni at the front of the Israeli hi-tech industry. The college offers studies throughout the country in collaboration with top companies such as IBM, Microsoft, and SAP. After completing the course, you will be eligible to take an exam to become certified by Microsoft. INT College is located at the Gav-Yam Hi-Tech Park in Be’er Sheva, hosting an advanced technological environment with many start-ups and tech companies surrounding you. Connect to Israel’s past and future. BIG IDEA Gap Year is not just about coding and designing. It is also your opportunity to discover Israel in a way you never knew before. We travel the whole country: mountains to beaches, cities to deserts. We also spend time showcasing Israel’s inspiring hi-tech ecosystem. 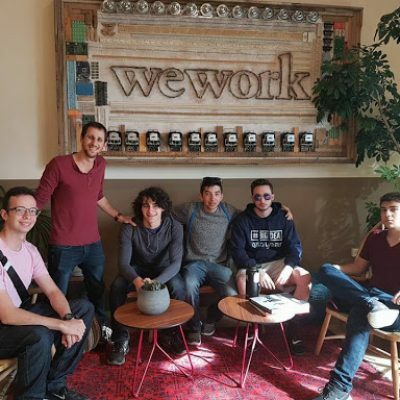 Once a week, we travel around the Israel to visit start-ups and learn from them, to get inspired and make new connections. The companies we visited have ranged from enormous computer manufacturers to tiny social startups by Bedouin entrepreneurs. 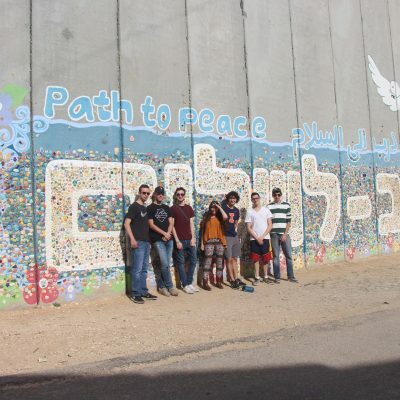 A gap year in Israel is a great way to get a deeper look at the society and culture in Israel. We will visit different locations and groups in Israel and get into deep conversations with the people. Hosting at families in Sderot and Israeli towns near Gaza Strip. At the Ulpan classes (Hebrew language learning) you will learn how to speak, read and write in Hebrew. 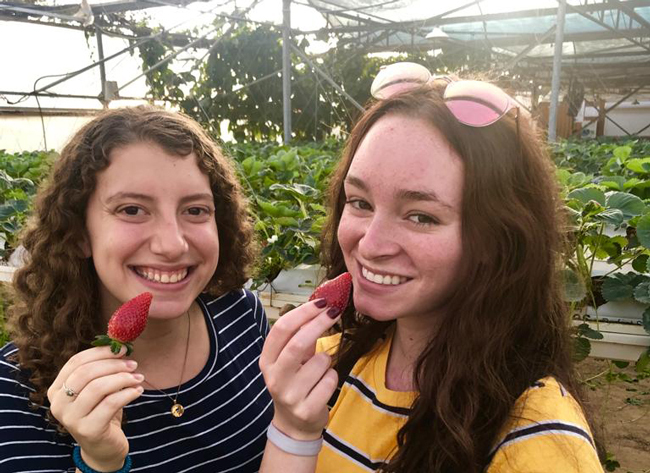 With your new Hebrew skills, you will be able to communicate with Israelis like a local, and get a meaningful advantage when you apply to your internship in Israel. The Ulpan is lead at Ben Gurion University of the Negev with professional Hewbrew teachers. There are several levels of Ulpan: fitting for advanced Hebrew speakers as well as people who are totally new to the language. Be’er Sheva is in the midst of a development boom. The hi-tech park attracts technological companies from around the world, and Israel’s national cyber headquarters has recently moved on-site as well. The city benefits from a thriving and developing university and is well known as the number one student city in Israel. In the city, you will find arts and culture, and amazing nightlife. Be a part of the cyber ecosystem. Live next to the Gav-Yam Negev Advanced Technologies Park, including companies such as DELL, Oracle, Paypal, WIX, JVP Cyber labs and many more! Monument of the Negev scenic spot. 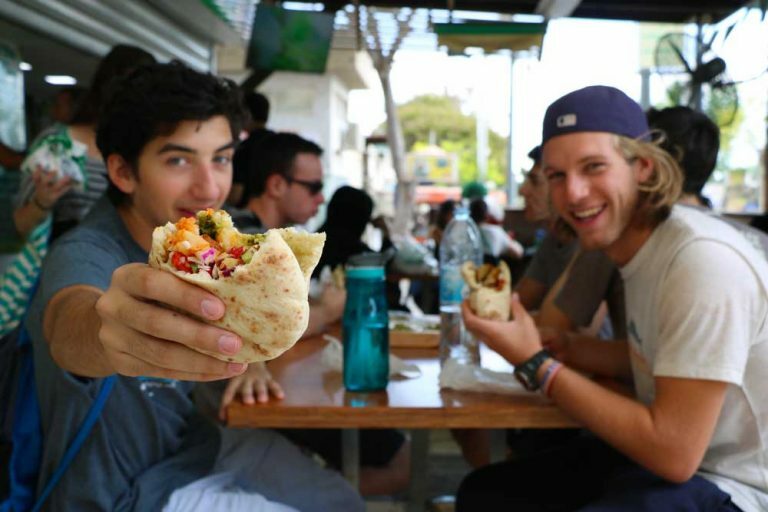 During the gap year program in Israel, you will learn how to live independently, how to live with other people and grow individually as a person. Cook, clean and live together with your roommates, who will soon be like your family. 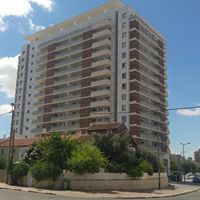 Live in a fully furnished apartment at the heart of the students neighborhood in Be’er Sheva. Stay in a 2 bedroom apartment with a separate kitchen, living room and balcony. Each appartment accommodate 4 roommates. WI-FI access throughout the apartment. The kitchen is fully equipped with all major appliances, table and chairs, and kosher cutlery and cookware. Secured building with a coded door. At the building you’ll find lounge space to hang out, laundry room and a small basketball court. The safety and security of our participants is our top priority! BIG IDEA Gap Year in Israel maintains strict standards for safety and security on all aspects of the program. Our staff are highly experienced in long term programs in Israel and available for the participants 24/7. We are in constant contact with the appropriate Israeli security/public safety authorities. Our program is approved daily with the “situation room” administered by the Israeli Ministry of Education, Military, and Police. Health insurance is provided throughout your stay in Israel from the day of arrival until the last day of the program. Harel Insurance Company is the leading provider of a wide range of health insurance programs in Israel. Doctors affiliated with the Harel plan are located throughout Israel, and participants can easily schedule an appointment. The policy does not cover pre-existing conditions with the exception of Diabetes, Asthma, and allergies (if the participant was treated and was under stable conditions during six months prior to the trip, doctor’s proof will be required). For any reason, participants can consult with the program staff at any time. Further details regarding health coverage will be provided. Participants are required to have additional personal medical coverage for the duration of the program. Make a social change and develop digital solutions to influence real people’s lives. 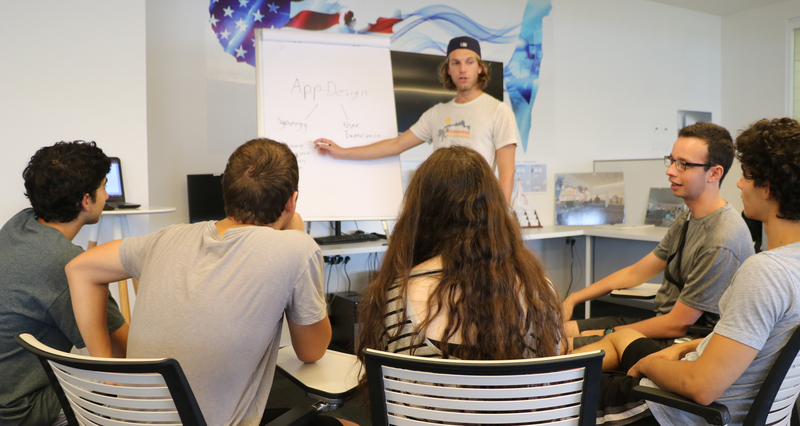 In the final month of the program, right after you finish your hi-tech boot camp, you’ll get to experience the same road to innovation as any other start-up entrepreneurs, while developing apps that will be used by the people in Be’er Sheva. This is your chance to give back to the community, while gaining valuable work experience. This year, BIG IDEA participants worked with the Carasso Science Park, creating innovative apps to help solve complicated, real-world problems. You had an amazing 5 months and you want to do more? Make it a full year in Israel by adding 4 month extension of Internships in start-ups and leading hitech companies in Israel.